Turn your computer into a sophisticated music studio with AudioSauna. 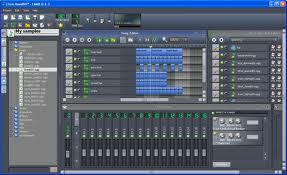 It is a free music production software that lets you record, write, edit and mix music from your computer. 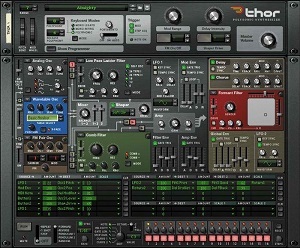 It boasts a virtual analog synthesizer, a frequency modulation synthesizer and an advanced studio sampler. This free music production software is not like the typical system because it specializes in drums. It is a pattern-based sequencer that showcases unlimited patterns and the ability to chain such to create music. It has multi-layering functions and supports the use of up to 16 different instruments. If you need help creating music, this free music production software is going to assist you in creating beats and melodies, and synthesizing and mixing sounds. It has a user-friendly interface that comes with a collection of instruments, an easy-to-use piano roll and a beat + Baseline Editor for perfect song composition. LoopLabs is an online free music production software that has been renowned for the work it has done in the past years for the likes of Steve Jobs, Coca-Cola, Bacardi and so much more. It supports multi-channel mixing; includes a drum and rhythm pattern machine, video mixing capabilities, ringtone creation and output, stereo-effects processing; and boasts a multi-user collaborative music environment. Recognized and awarded for its performance, LoopLabs is the only system you need. 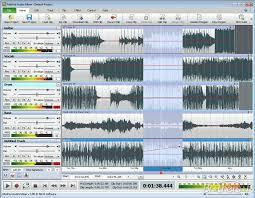 MixPad Multitrack Recording Software is a free music production software that combines all the mixing and recording functions in one system. It is simple and easy. It allows you to create multi-layered tracks and record vocals, instruments, voiceovers and backgrounds; and it lets you export your finished product in multiple formats. 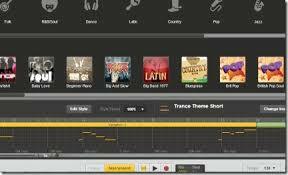 Mixx is a free music production software that is made especially for DJs. It supports iTunes integration, offers BPM detection and sync functions, has DJ MIDI controller support, and comes with a powerful mixing engine. Create your music using one of the five amazing designer skins and broadcast your masterpiece after recording—and be the legitimate music artist you have always wanted to be. 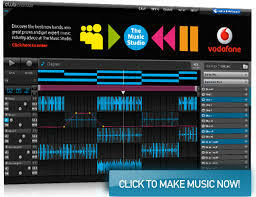 With this free music production software, you will be able to create music through real-time recording and step recording with the help of a mouse. 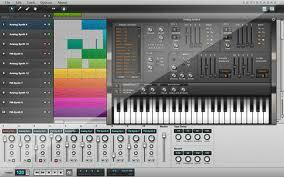 It has advanced MIDI and Audio features which includes a massive instrument list and vast music making functions. From drum machines and synthesizers to instruments or loop players, this free music production software has everything you need. Enjoy creative control thanks to the introduction of Rack Extensions that offers a massive palate of musical options. 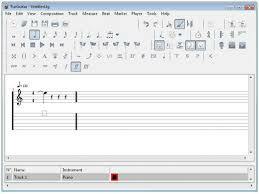 If your instrument of choice is a guitar, you will find this free music production software useful. Its features a tablature editor, multitrack display, note duration management, time signature management and tempo management. It has a score viewer and supports music playing using various effects such as slide, bend, vibrato and so forth, so that you can create a musical masterpiece. UJAM is a web-based free music production software that lets you create songs. Launch the UJAM Studio and go on a jam session by recording your music with the mic, uploading a musical track from your computer or using songs from the collection as a template. It supports various genres such Jazz, Rock or Hip-Hop and makes different instruments available for your use. 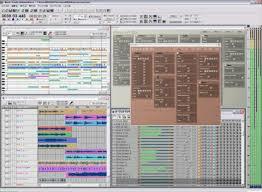 The software allows users to edit the melody, song structure, chord progression and accompanying instruments. A free music production software is more than just a canvass for musicians because it helps them create true masterpieces with it. Music production has never been this easy–you need not look for anything more!